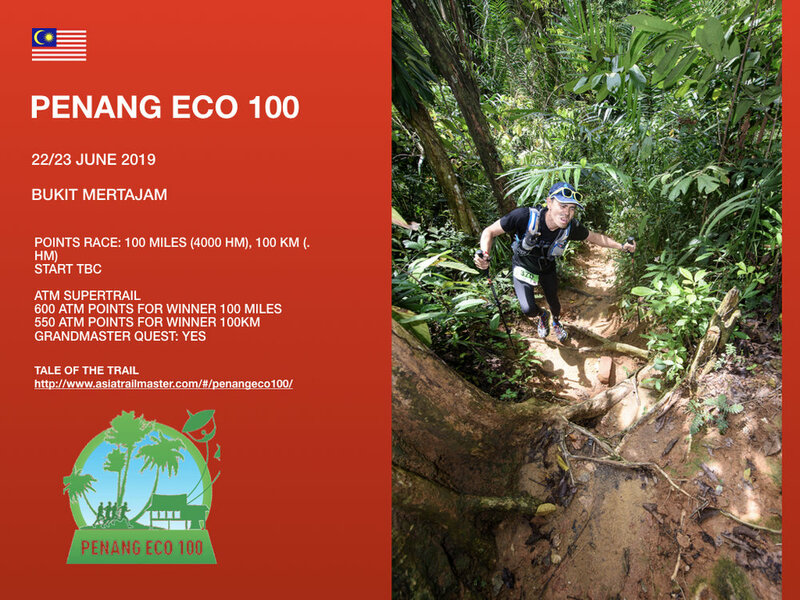 5th edition of the Penang Eco 100 including the first 100 miler in Malaysia on top of the standard 100k and 50k races. 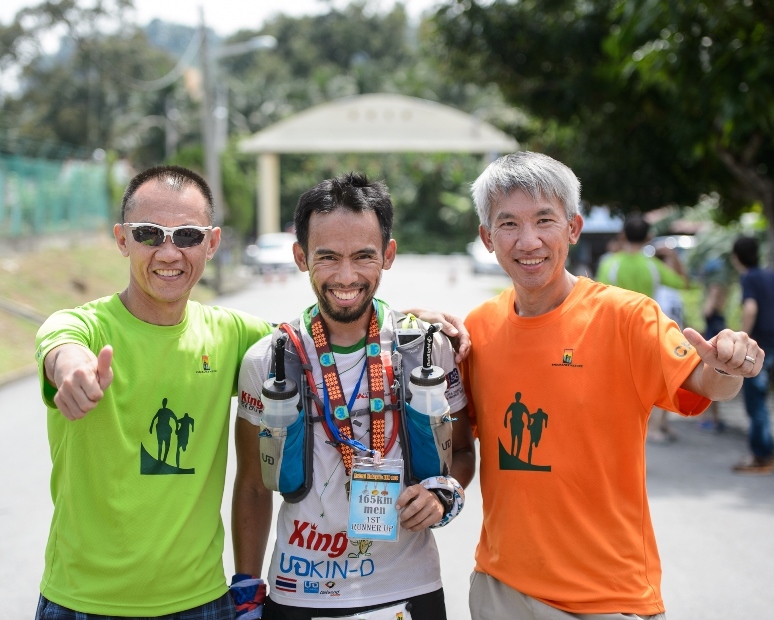 Organised by Endurance Nature, featuring one of Malaysia's pioneering trail runners. A hot newcomer on the scene since 2015, this is a challenging course for long distance athletes. 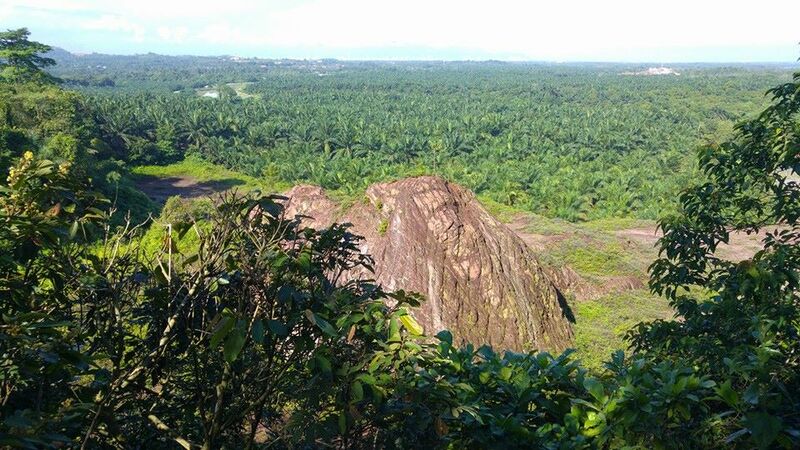 Not necessarily because of the terrain but mainly because of the hot and humid climate. Held in Bukit Mertajam (Penang, Malaysia), the 50km and 100km categories start from the eco village of Sungai Lembu, taking runners through oil palm plantations, rubber plantations, pineapple plantations, several Malay kampungs Chinese new villages, and Indian temples, paddy fields, the challenging hills of Seraya, Mengkuang, and the by now iconic Tokun Hills, which is the starting point for the 100 miles. 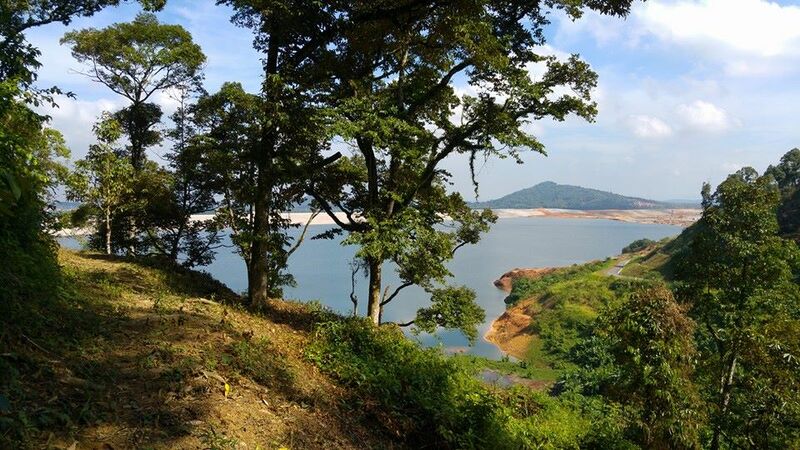 This race showcases the typical Malaysian geographical, social and cultural heritage where the runners will meet and see ordinary Malaysian people and wild lives, flora and fauna in the rural settings with a distinct small town feel. During the race, the runners will be sampling the local cuisines in the food and drinks provided at the aid stations along the course of the race. For the Asia Trail Master Championship, the 100 miles and 100k are both marked as A-races. Fly into Penang International Airport for the quickest access to Bukit Mertajam, which is basically just across the famous Penang Bridge. Of course, Kuala Lumpur is another option but the bus ride will take you three hours to the race venue. Hotels are plenty in Georgetown, main city on Penang, and busses are organised to the race venue. However, for extra convenience, you can also stay in Bukit Mertajam, where there’s a few nice and clean hotels in a street with lots of restaurants and bars as well. The Penang Eco 100 has a list of mandatory gear, which you can consult below. There will be checks during the race, and failure to show these items may result in time penalties. 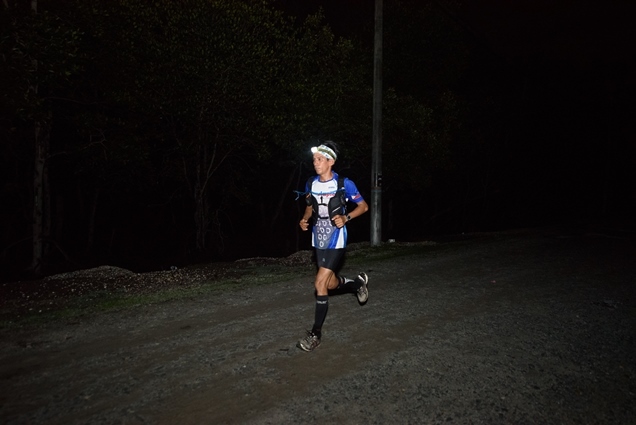 For 50km category, while it is true that some runners may start and finish the race during the day time under 11 hours (between 8am and 7pm), but anything can happen in an ultra race, and runners may have to run/walk in the darkness of the nights before the 10:00pm cutoff time. Given that the headlamp will be used at most for about 3 hours between 7pm to 10pm, 50km runners can carry only 1 working headlamp or 1 working torch light, and some spare batteries. It is the responsibility of the runners to make sure that their headlamps or torchlights are working during the night time. Runners who are not wearing or using working headlamps/torchlight during the night will be disqualified. Please also familiarise yourself with the race regulations and recommendations, also with regard to health and insurance, via the event website. The best and arguably most convenient place to stay for international runners is Georgetown, main city on Penang Island. There is an international airport as well, connected with many Asian cities. Shuttle busses to the event site at Bukit Mertajam is provided by the organisation committee. Pick-up point is Queensbay Mall. Hotels abound in all class categories on Penang, so just take a look at sites such as expedia, booking or elong to find what you need. If you like something more remote and special, there may still be space for you at Suling Hill resort , which is on the race course. This nature resort has limited rooms, so better contact them quickly if you wish to stay there. There's plenty to see on Penang Island, which makes the event a great weekend trip for the whole family. See what Wiki Travel has to say.